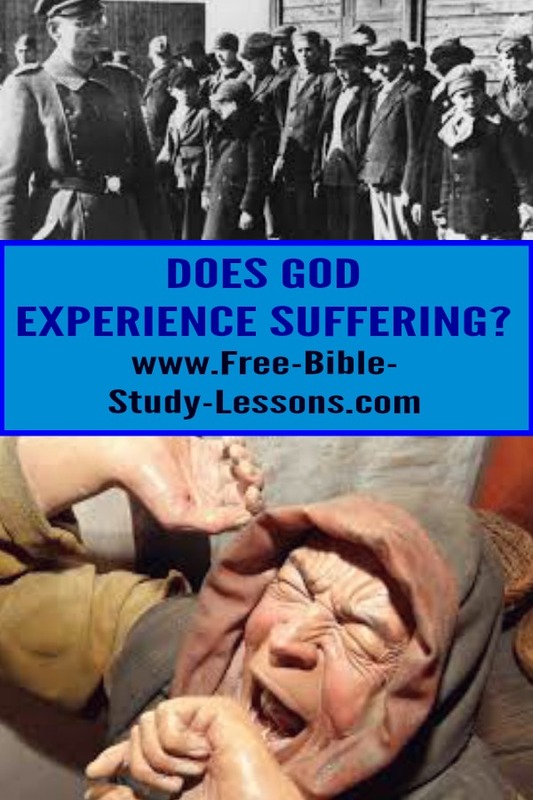 Does God experience suffering? Does God feel pain on an emotional or spiritual level? Have you ever thought about it? We know that Jesus, as He walked the earth, felt all the pain that we do, but what about God the Father? Does He know pain and anguish? When we cry out to God in pain or grief does He merely understand intellectually what we are going through or is there an emotional connection? Officially the teaching about whether God can suffer Himself is called the Doctrine of Impassibility. For most of church history the majority have taught that God cannot suffer. They have felt such a teaching would undermine the character of God and make Him less than the Almighty God Scripture declares Him to be. But is that really what the Bible teaches? We have to be careful because we are often carried away with our emotions and our pain. We cannot put that on God. God cannot be controlled or changed because of outside pressures such as suffering. He cannot lose control or do something sinful because of pain. However, just because His reaction to pain is controlled does not mean that He cannot experience the depths of anguish. So how can we know if God feels pain on the same emotional and/or spiritual level that we do? How can we know that He really knows what we are going through? As with all things, we must start with Jesus. We know that Jesus is God as a Man. However, Jesus is also the perfect image or picture of God. Part of the purpose of His coming to earth was to show us what God is really like. So if God cannot suffer, then Jesus could not have suffered for that would have been a misrepresentation of God. Many people have the idea of God being detached and simply observing or controlling humanity unemotionally at a distance. If that is the case, then that is how Jesus would have acted on earth. Did He act that way? Seen In The Old Testament? In the Bible the word "know" means more than simple intellectual knowledge. Adam "knew" his wife and they had a baby. This was not a handshake, nice to meet you, knowledge! When God said He knew their sorrows that meant He was experiencing the pain of slavery along side of them. "How often they defied and rebelled against Him in the wilderness and grieved Him in the desert!" Ps. 78:40, Amp. "How can I give you up, O Ephraim! How can I surrender you and cast you off, O Israel! 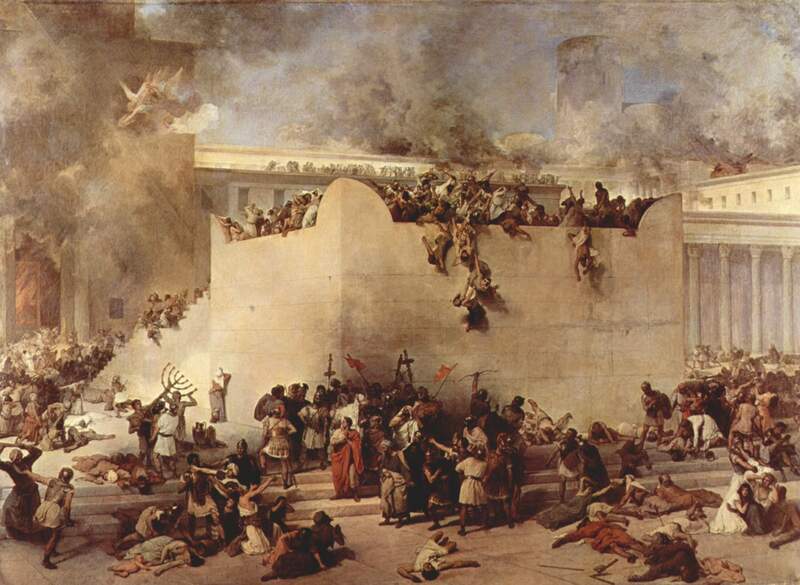 How can I make you as Admah or how can I treat you as Zeboiim [both destroyed with Sodom]! My heart recoils within Me; My compassions are kindled together." Ho. 11:8, Amp. "Compassion" is a strong word meaning to be moved to the depths of love and pity. It is love that must act. It cannot simply stand by. Jesus was moved to the core of His being by the sickness, pain, ignorance and grief He saw around Him. People loved being around Him because they knew He cared and would help them. While it is important to know that Jesus cared for those around Him and suffered with them on a deep emotional level, we need to know that Jesus understands because He has endured pain Himself. While we often take Is. 53 as a direct reference to the Cross, Matthew seems to apply it to the entire life of Christ. It was not just that Jesus suffered on the Cross - that was the climax - His entire life was one of anguish. He "knew pain firsthand" because He lived it. It is not just a theory to Him. It is not just an observation. It is personal experience! As Jesus approached Jerusalem, knowing the terrors that awaited it because it had refused Him, He wept. 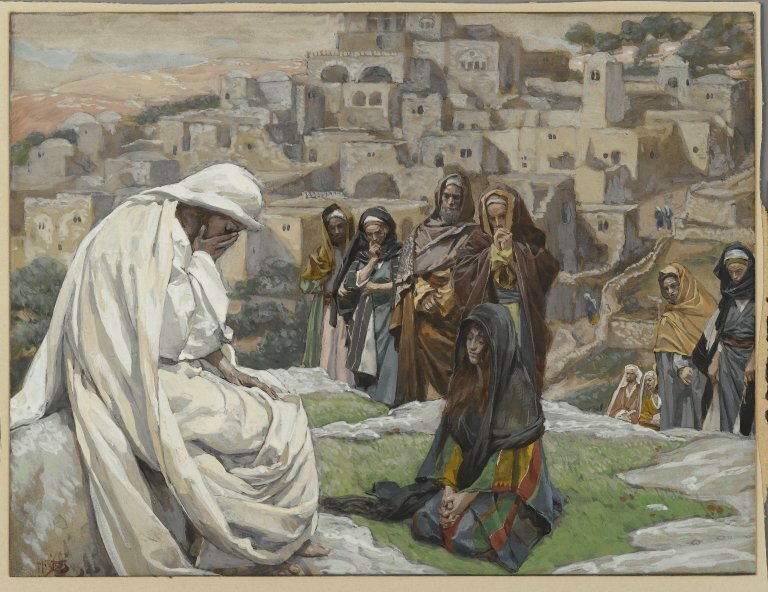 "And as He approached, He saw the city, and He wept [audibly] over it," Luke 19:41, Amp. The word "wept" means to mourn in pain or grief, to bewail. This was not just a trickle of tears, but streams of tears in grief like attending the funeral of a loved one. Of course, the greatest pain was on the Cross. We do not have space to look at it in detail, but anyone reading the gospels and related descriptions knows that Jesus was in anguish physically, emotionally, mentally and spiritually to a depth not experienced by any human being. In all of this keep in mind that Jesus was not just suffering for our sins, but He was enduring pain as the perfect reflection of the God Who chooses to suffer in order to help us - those who hate Him [Rom. 5:6-9]. In the book of Hosea God compares His feelings for Israel to that of a loving husband whose wife leaves him to become a prostitute. Can we really think that God doesn't know, from experience, the depth and range of emotions and pain we feel? We are specifically told in the New Testament not to grieve or cause God pain. Such instruction would not be necessary if God were detached and uninvolved. He knows on an intimate level how we feel about every situation of life [except guilt for He has nothing to be guilty about]. I would go even further than that. Since we are made in the image of God, the pain we feel at sinful actions, broken relationships, separation from loved ones, injustice, sickness, etc are but dim reflections of the pain God feels at the same things. God is love. Love suffers when the one who is loved is hurting. God could have chosen not to love. He could have detached Himself from His creation. He could have spared Himself all the pain. But, instead, He chose to Love and in choosing to love, He choose to suffer with us and for us. We do have to keep in mind that enduring pain does not change Who God is or how He acts. It does not lower God to a Being whipped around with emotion. He is still perfectly righteous and holy. God cried over Jerusalem because He knew they would not repent and He would have to carry out His justice. Suffering and sorrow does not change judgment. Hell is a real place of eternal torture. On the Cross Jesus experienced Hell. One of the reasons God chose to enter into pain was to take upon Himself His own judgment and give us the opportunity to escape His perfect judgment. If we refuse the opportunity, we will have the judgment for ourselves. God cannot be less than Who He is.